Xiaomi Redmi 1s has been one of the best economic smartphones in India. Redmi 1s is being sold like hot cakes in the flipkart every tuesday and still many users are not able to get this smartphone on hand still. 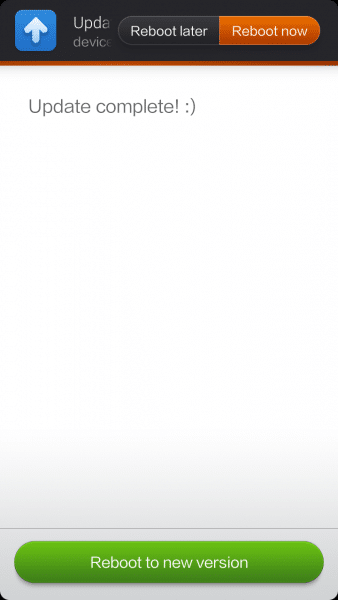 We have best tips and tricks to add Xiaomi Redmi 1s into the cart (100% Working tricks). If you are techie and love playing with your smartphone to unveil its inside potentials, then it is necessary to do rooting stuff. Xiaomi Redmi 1s, major advantage is, it comes Pre-rooted and Bootloader unlocked. 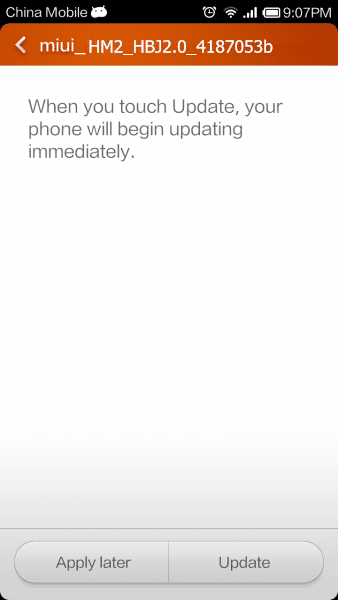 No need to follow hard procedures, like “How to Unlock bootloader in Moto X”. It is bootloader unlocked and Pre-rooted. But you need to do some basic stuff to get access to rooting from the Recovery option in Xiaomi Redmi 1s. We have a In deep procedure posted already, “How to root Xiaomi Redmi 1s“. We will add brief method of how to root Redmi 1s, because rooting is the basic thing to gain access to the source code of your device and then comes the flashing of custom recovery and flashing of Stock rom or Custom made roms like Cyanogenmod 11 for Redmi 1s. To begin with the root process download the update file and save it on your PC. Connect your Redmi 1S via USB cable. Disconnect your Redmi 1S properly from USB via ‘Safely Remove Hardware or Eject Media‘. In the Mi-recovery select and confirm ‘English‘ for ease in selecting options. -After Reboot go to Security -> Permission and activate Root permission. 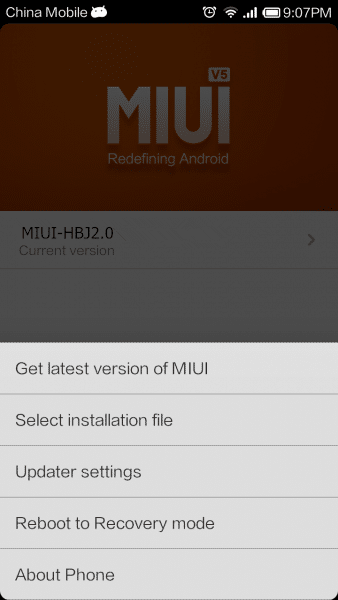 Download necessary files to prepare for flashing MIUI ROM. 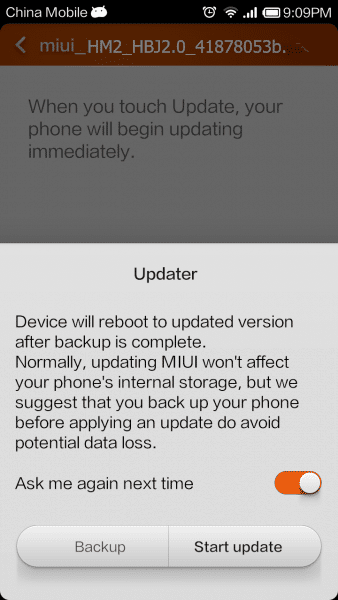 Note Flashing a newer version of MIUI ROM doesn’t need to wipe data, but flashing an older one does. STEP 2: Connect your phone to the computer, and put the ROM file to the folder downloaded_rom in the SD card. Open Updater on the launcher, press the Menu button – Select installation file. Choose the ROM pack you want to flash, and select Update now. STEP 3: After updating is completed, select Reboot now to enter the new system. Now touch the “Start update”. Update will start automatically. 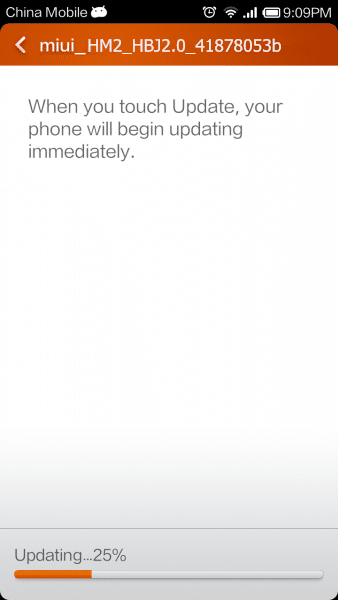 When update is completed, Reboot Xiaomi Redmi 1s to reboot with new version. 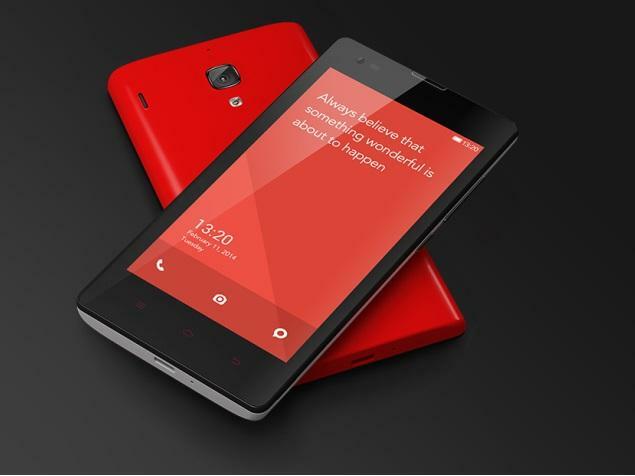 Please follow the above procedure to Install Custom rom for Xiaomi Redmi 1s. Please do comment your ideas and opinions and be a fan of IGW for newer updates.